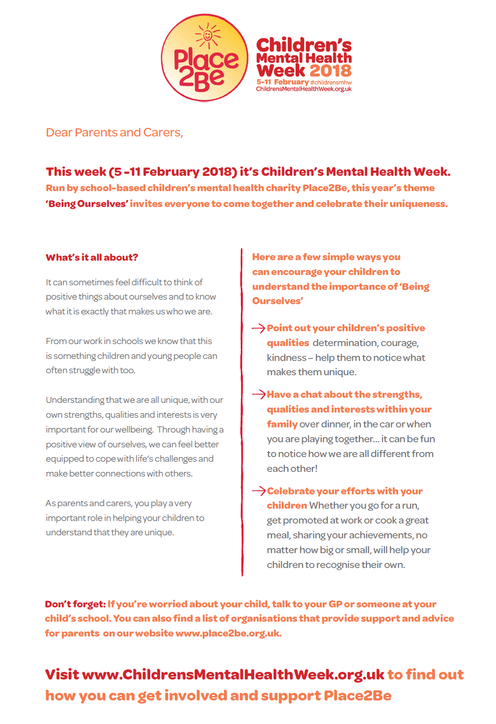 Hallfield is proud to support Children's Mental Health Week 2018 (5th-11th February), as we recognise that mental and emotional health is key to every child's growth and learning. 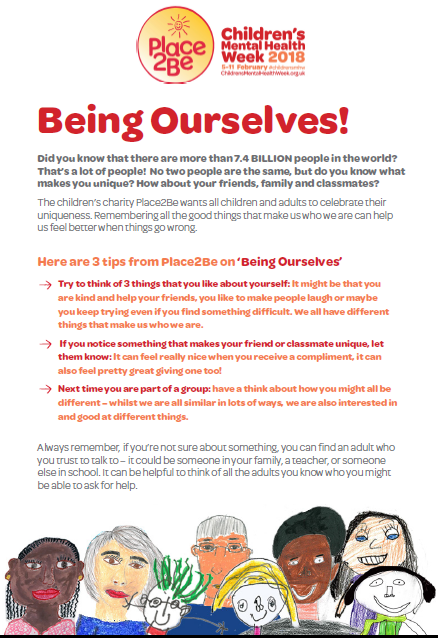 During Children's Mental Health Week, we will be highlighting the importance of "Being Ourselves." This means encouraging children to value the unique combination of strengths and struggles that each person has, and to see that we are all better off when we embrace our differences. Below is a website where you can find out more about Children's Mental Health Week, as well as ideas for how you can help your child value themselves and others for who they are. If you have a question about Children's Mental Health Week, or about Place2Be at Hallfield, please contact Stacey Riberdy at stacey.riberdy@place2be.org.uk, or Mondays, Thursdays or Fridays on 020 7087 4960.